Opened in 1996, the Connecticut Children’s Medical Center is the region’s only full-service hospital devoted exclusively to the care of children. 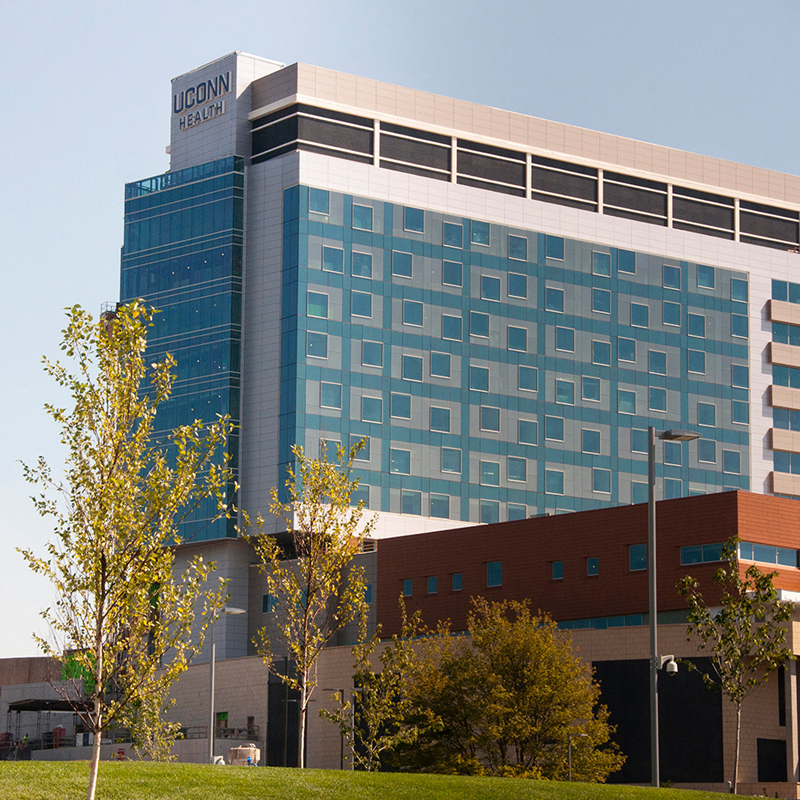 Located on the extensive medical campus shared by Hartford Hospital and the Institute of Living, Connecticut Children’s is a 187-bed facility that serves northern Connecticut and receives pediatric referrals from throughout the Northeast. 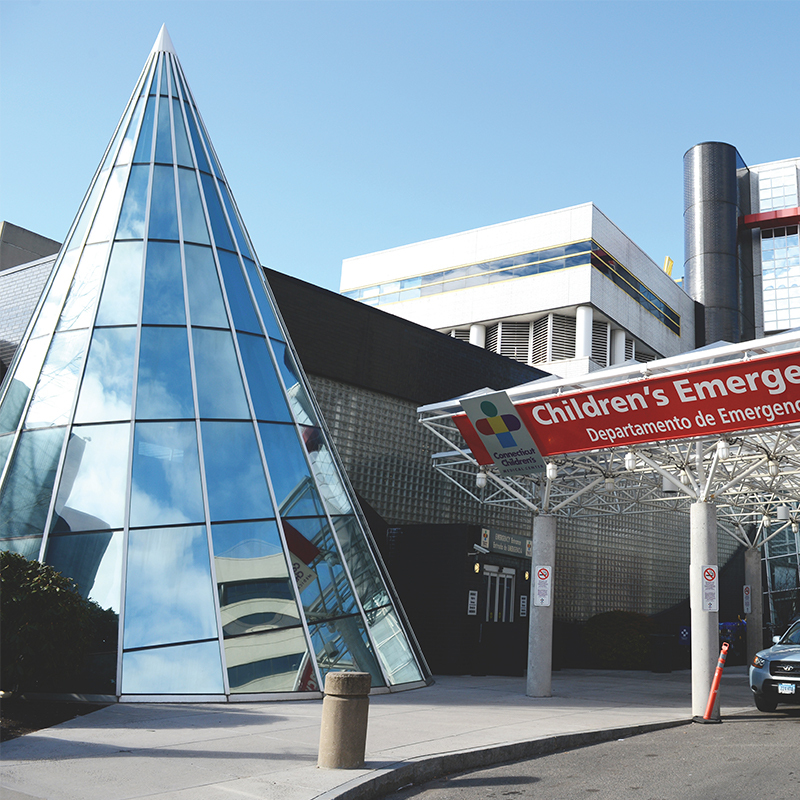 All inpatient pediatric rotations are at Connecticut Children’s. This state-of-the-art facility is supplemented by neonatal intensive care beds at John Dempsey Hospital and Hartford Hospital, and by child psychiatry beds at the Institute of Living. The oldest and largest hospital in the Hartford area, Hartford Hospital, an 850-bed, acute care, regional medical center, provides care in all medical specialties. It is a major teaching site with outstanding ratings from third- and fourth-year students who rotate through clinical clerkships in all major disciplines. A rich array of clinical electives are available as well. The flagship for Connecticut Health Systems, Hartford Hospital is a major regional trauma center and site of Life Star, an air ambulance service. The hospital serves as the major heart and liver transplant center. The Institute of Living provides comprehensive care and treatment for psychiatric and chemically-dependent patients. UConn John Dempsey Hospital is a 274-bed facility that provides highly specialized tertiary inpatient, outpatient, and primary care services. The hospital is on the same campus as the Schools of Medicine and Dental Medicine, research laboratories and the library. UConn John Dempsey Hospital has developed a variety of special clinical programs, including a level III neonatal intensive care nursery which is owned and operated by Connecticut Children’s Medical Center, a major regional perinatal and high risk pregnancy referral program, inpatient alcoholism treatment, magnetic resonance imaging, and a mobile lithotripsy unit, among other programs. UConn John Dempsey Hospital is the primary clinical base for full-time faculty and a primary site for nearly all residencies and fellowships. 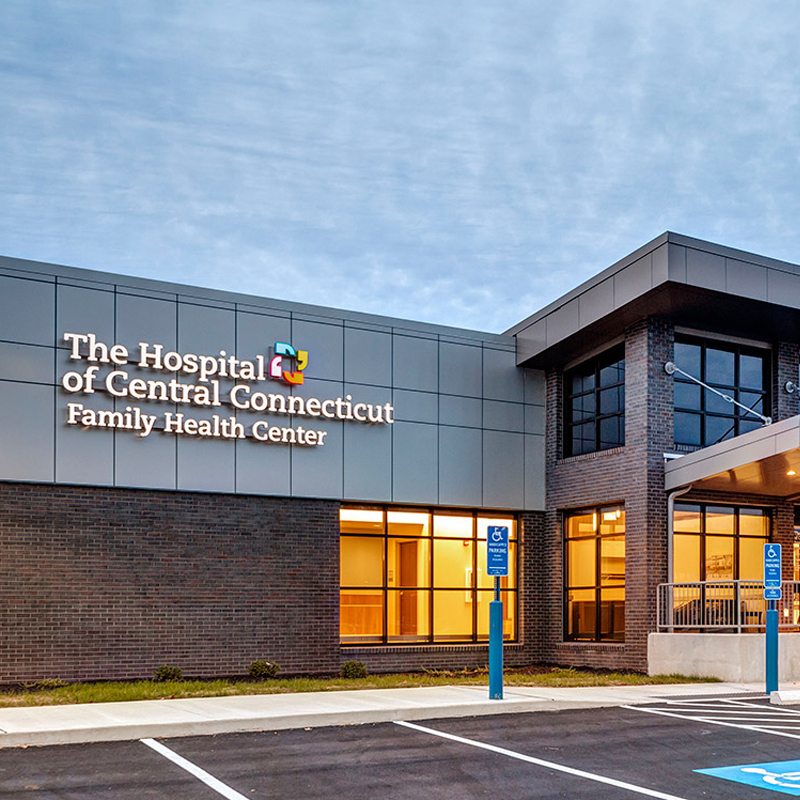 The Hospital of Central Connecticut provides a full spectrum of medical and surgical services. These include radiology, nuclear medicine, CT, MRI, radiation therapy, cardiac rehabilitation, highly specialized intensive care and cardiovascular units, and a comprehensive pulmonary function laboratory with complete exercise testing facilities. Students rotate in all the clinical disciplines at this hospital. The Hospital for Special Care is a private, non-profit rehabilitation and continuing-care facility offering inpatient and outpatient services for neurologic and orthopaedic illnesses and injuries, sports and work-related injuries, and treatment for those with long-term, medically complex conditions. 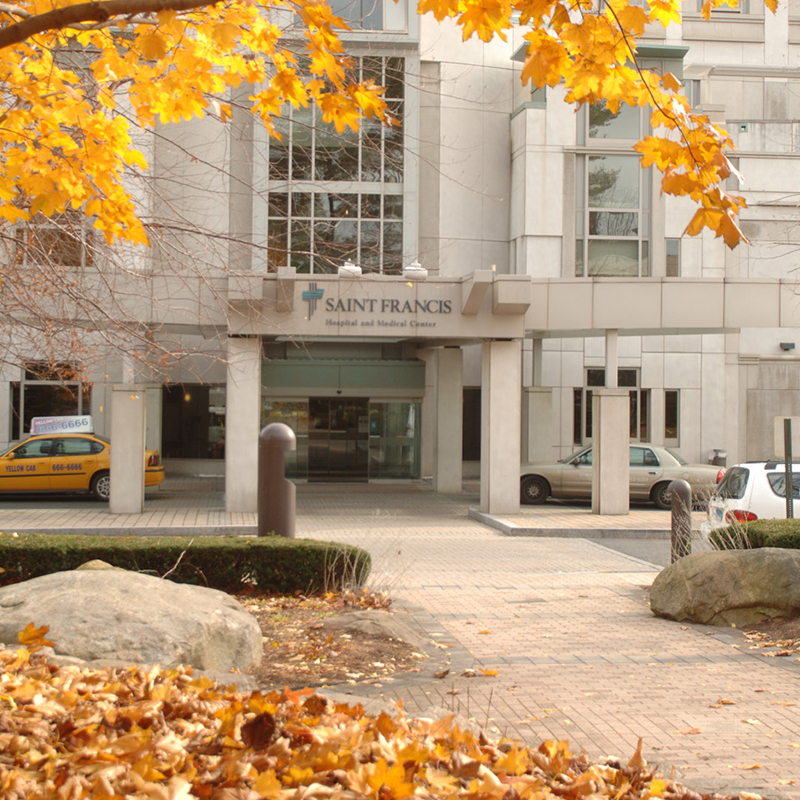 Saint Francis and its Mount Sinai Hospital campus provide a full range of medical and surgical care. Founded in 1897, Saint Francis is the largest Catholic hospital in New England, and offers acute and chronic ambulatory service, open heart surgery, dialysis, and radiology services and radiation therapy. The hospital has an outstanding reputation among medical students. Clinical rotations are available in all the major disciplines. The nearby Asylum Hill Family Practice Center is the site for family medicine rotations and Burgdorf/Bank of America Health Center is a major ambulatory clinical site for medicine and pediatric rotations. Burgdorf provides a comprehensive and primary ambulatory and ancillary services to address the medical and psycho-social needs of the area's culturally diverse population.